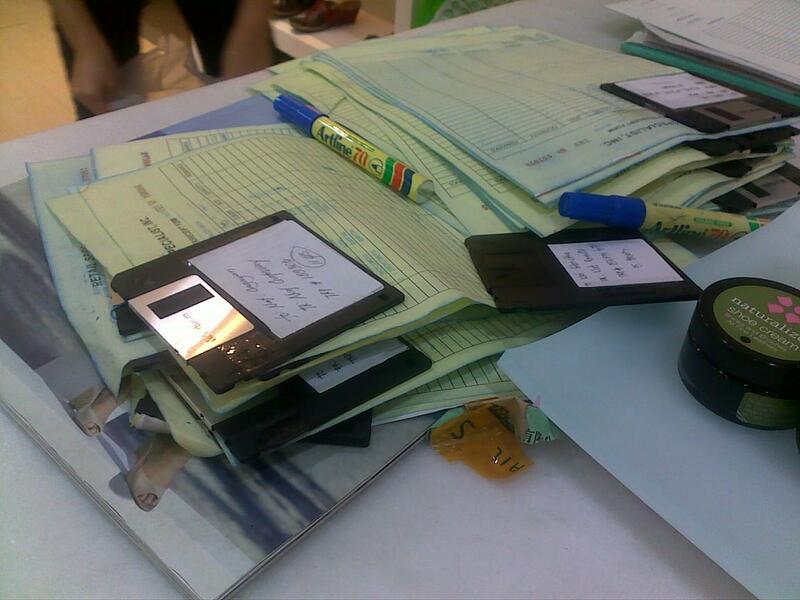 Yes, they still use these old-school Floppy disks for data storage which means they still use the old-school computers, too! Apparently, the old disks are still being used and never was saved for back-up through USB’s or CD’s as the owners think these floppy disks restores files much longer and safer than modern day memory cards. I asked permission if I can take a shot of the disks as evidence for my blog. We all giggled and agreed.